In recent years many influential Tibetans have become vegetarians and have been encouraging others to do so as well. The following is a brief account of their activities. On April 5, 2005, the Dalai Lama made the following statement before an assembly of Tibetan leaders: “Lately I have turned to a vegetarian diet. Today’s youth, particularly the ones who have come from Tibet and have a refugee status must inculcate these principles for their own development and to have peace of mind. 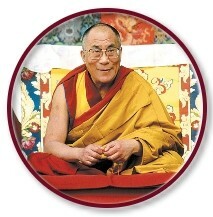 The message from mahakaruna [Sanskrit: ‘great compassion’] has clearly asked us to follow and preach love and compassion for all living beings.” The Dalai Lama’s noble action is an inspiration to people around the world and is especially admirable because he changed his diet at the age of seventy. Actually, he had wished to be vegetarian from an early age but was hindered by the curious beliefs of his personal physicians. In 2004, Kentucky Fried Chicken announced plans to open chicken restaurants in Tibet, and in response the Dalai Lama issued the following public appeal: “On behalf of my friends at People for the Ethical Treatment of Animals (PETA), I am writing to ask that KFC abandon its plan to open restaurants in Tibet because your corporation’s support for cruelty and mass slaughter violate Tibetan values.” Thereafter, the KFC management abandoned its plans. Before this event, the Dailai Lama had conducted many other vegetarian campaigns. For example, in 1993, he asked restaurants in Dharamsala, India, home of the world’s largest Tibetan exile community, to become vegetarian so that Tibetans could experience delicious vegetarian food and learn how to stop eating meat. As a result, several local residents became vegetarian, and because of these restaurants vegetarian foods such as tofu have become known to the Tibetan public. 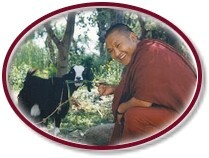 Another true vegetarian hero from Tibet is the monk Geshe Thupten Phelgye, who, after practicing in retreat for several years, founded the Universal Compassion Movement, (www.universalcompassion.org) in 1998. The Movement promotes vegetarianism and compassion for all sentient beings through various means, including distributing vegetarian flyers around Dharamsala. 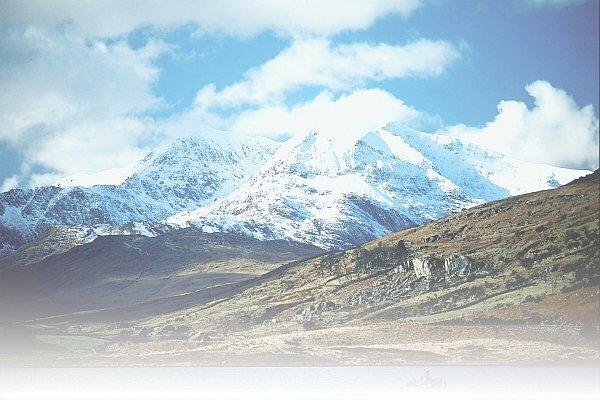 In 1999, Phelgye was elected president of the International Gelug Society, which represents the major monastic tradition in Tibet, and managed to pass a resolution that all residents of Gelug monasteries and nunneries become vegetarian. The following year, the Gelug monks elected him their representative in the Tibetan Parliament In-Exile in Dharamsala, where he proposed a historic law declaring 2004 the Tibetan Vegetarian Year, during which all Tibetans would be required to be vegetarian. The Parliament subsequently passed the law, whereby vegetarianism was encouraged but not enforced, bringing vegetarianism to the forefront of Tibetans’ minds. This ruling may be considered the greatest such law since the Ashokan Edict of 200 B.C., which established vegetarianism in India. The issue of meat eating has been a matter of public discussion in the Tibetan community in recent times. A subtle change in the Tibetan people’s mindset has taken place [as] comparatively younger Tibetans are opting for a vegetarian diet today. Even among the older generation there are efforts to change the age-old meat-eating habit. Another inspiring young Tibetan is Tenzin Kunga Luding, who became a vegetarian at the age of ten after hearing about the suffering of cows used for meat. With his father’s help, he founded Tibetans for a Vegetarian Society (T4VS). Tenzin spends much of his time rescuing stray animals and hopes to purchase land in Delhi for an animal rescue and rehabilitation center. Also, in recognition of Tibetan Vegetarian Year, T4VS recently held a rock music tour, which in Tenzin’s words was designed “to propagate love and compassion toward all, including meat-eaters. Vegetarians, non-vegetarians, Buddhist and non-Buddhists—everyone is welcome to join and support us.” This positive attitude, which is reflective of the entire T4VS tour, has attracted many non-vegetarians. Now Tenzin looks forward to working with other groups to promote the vegetarian lifestyle. With supernatural power gained through certain meditations, it is true there are some who can revive animals from the dead and help them reach higher rebirth or enlightenment by consuming small amounts of their flesh. But this is not done for sustenance, only for the purpose of helping that animal. I personally do not have that power and because of that I never eat meat. I would be committing sin and getting negative karma. I don’t pretend as if I have some powers and eat meat. I just avoid it altogether. The cases of the noble Tibetan vegetarians discussed above reveal that humankind’s consciousness has indeed been uplifted. These righteous individuals are wisely changing a thousand-year long tradition, thus demonstrating that the Vegetarian Era is imminent.